Here you find Maileg’s adorable mice to play with and collect. The little plush toy mice are excellent playmates and love to be cuddled and to share days and nights with their little human friend. They were created with many loving details and thanks to their good quality, your little loved ones will be able to enjoy them for many years to come. 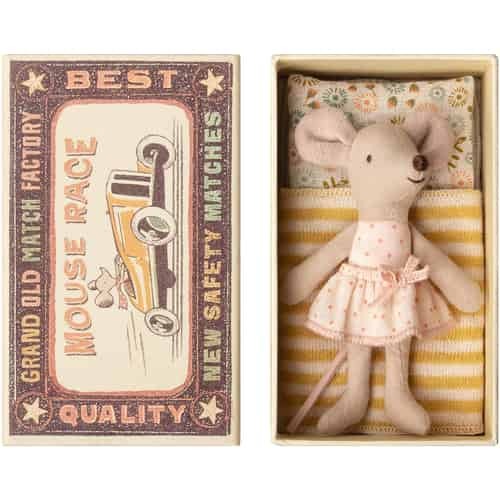 How about a little mouse that comes with pillow and blanket all nestled into a matchbox, to hang out on your nightstand or to accompany you while you are out and about? What about a little Maileg mouse angel as a present for a birth or christening? 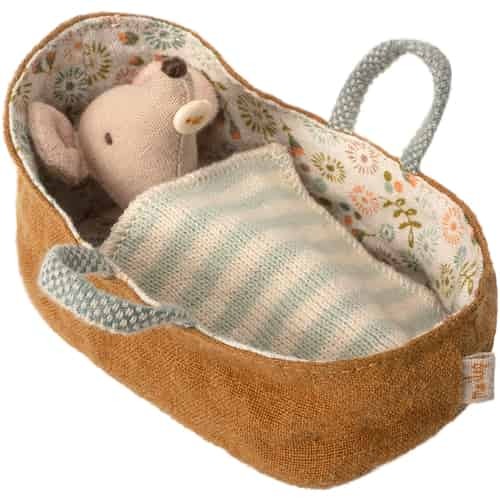 The sweet little mice are wonderful presents for dear friends and family and especially for your own beloved offsprings.